HIPPO Multipower products are the most reliable sources of remote power on the market today. Whether you need hydraulic, air, electric or welding power, we’ve got you covered with a line of durable, versatile and cost-effective units designed with your toughest jobs in mind. The HIPPO P-Model delivers a reliable source of power and is driven by your truck’s PTO for maximum efficiency. The P-Model provides all the power you need with the smallest footprint available. If you’re looking for a mobile, multipower solution that doesn’t add idle hours to your truck’s engine, the HIPPO E-Model does just that by incorporating its own diesel engine to provide complete power, no matter where you are. Self-propelled, all-wheel-drive and designed specifically for railroad applications by railroad professionals, the HIPPO Power Tread and HIPPO THK deliver outstanding power and mobility to your worksite. A fiscally and environmentally responsible, complete power solution, this self-contained unit maximizes power and productivity on the job while minimizing cost of operations and equipment. A lightweight, all-terrain alternative to the maintenance contact vehicle, allowing you to access remote worksites by combining the off-road capabilities of the Polaris® Ranger® with the 4-in-1 power of HIPPO Multipower. The HIPPO RTC and HIPPO CCPU are designed to deliver all the hydraulic power you need – wherever you need it. 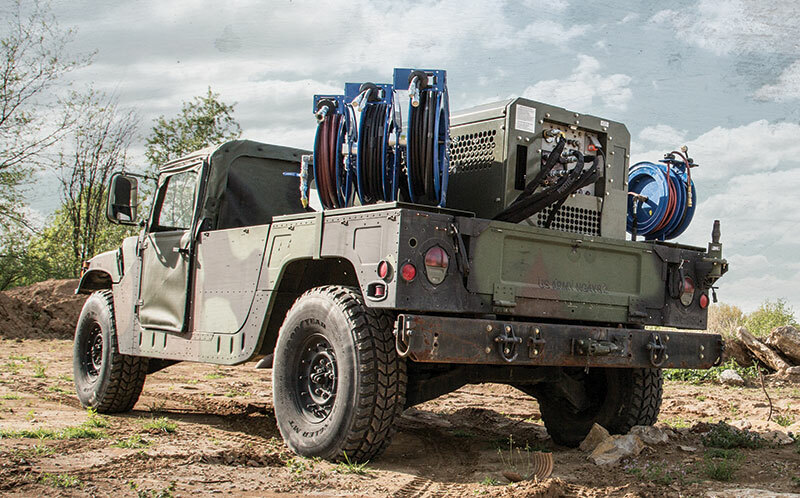 Getting access to power in tunnels, mines and other confined areas is no problem with the diesel-powered HIPPO RTC and HIPPO CCPU. Ready to see these models in action? Contact us today to set up a demo.